40 mm heavy gold-washed brass case or in a chromed brass case. Choice of colors. Freemasonry is a fraternal organisation that traces its origins to the loose organization of medieval Stonemasonry. Early organizational forms included "lodges," incorporations, and craft guilds. Early Freemasonry based on craft labour is known as Operative Freemasonry, while the modern, more philosophical form of Freemasonry is known as Speculative Freemasonry. Freemasonry now exists in various forms all over the world, with a membership estimated at around six million world wide. The fraternity is administratively organised into independent Grand Lodges (or sometimes Grand Orients), each of which governs its own Masonic jurisdiction, which consists of subordinate (or constituent) Lodges. The largest single jurisdiction, in terms of membership, is the United Grand Lodge of England (with a membership estimated at around a quarter million). The Grand Lodge of Scotland and Grand Lodge of Ireland (taken together) have approximately 150,000 members. In the United States, the Fraternity is divided between fifty-one Grand Lodges (one for each State, plus Washington DC), which taken together have a total membership of just under two million. The various Grand Lodges recognise each other -- or do not-- based upon adherence to landmarks. A Grand Lodge will usually deem other Grand Lodges who share common landmarks to be regular, and those that do not to be "irregular" or "clandestine". There are also numerous appendant bodies, which are organisations related to the main branch of Freemasonry, but with their own independent administration. The origins and early development of Freemasonry are a matter of some debate and conjecture. A poem known as the "Regius Manuscript" has been dated to approximately 1390 and is the oldest known Masonic text. The poem begins with a history of the "Craft" of Masonry, describing Euclid as the inventor of geometry and then tracing the spread of the art of geometry through "divers lands", ending up in England. This is followed by fifteen articles for the master concerning both moral behaviour (do not harbour thieves, do not take bribes, attend church regularly, etc.) and the operation of work on a building site (do not make your masons labour at night, teach apprentices properly, do not take on jobs that you cannot do, etc.). There are then fifteen points for craftsmen which follow a similar pattern. In his commentary on the poem, James Halliwell, who discovered it, notes 'the recent use of the term freemason to those who practice the actual trade. In the year 1506, John Hylmer and William Vertue, freemasons were engaged to "vault or doo or bee vawlted with free-stone the roof of the quere of the College Roiall of our Lady and Saint George, within the castell of Wyndsore"'. There is evidence to suggest that there were Masonic lodges in existence in Scotland as early as the late 16th century (for example theLodge at Kilwinning, Scotland, has records that date to the late 16th century, and is mentioned in the Second Schaw Statutes (1599) which specified that "ye warden of ye lug of Kilwynning [...] tak tryall of ye airt of memorie and science yrof, of everie fellowe of craft and everie prenteiss according to ayr of yr vocations"). There are clear references to the existence of lodges in England by the mid-17th century. The first Grand Lodge, the Grand Lodge of London and Westminster (later called the Grand Lodge of England (GLE)), was founded on 24 June 1717, when four existing London Lodges met for a joint dinner. Many English Lodges joined.the new regulatory body, which itself entered a period of self-publicity and expansion. However, many lodges could not endorse changes which the GLE made to the ritual in the wake of printed exposures, and formed a rival Grand Lodge on 17 July 1751, which they called the "Most Ancient and Honourable Society of Free and Accepted Masons according to the Old Institutions", better known as the "Antient Grand Lodge of England." The two competing Grand Lodges vied for supremacy – the "Moderns" (GLE) and the "Antients" (or "Ancients") – until they united on 25 November 1813 to form the United Grand Lodge of England(UGLE). The Grand Lodge of Ireland and The Grand Lodge of Scotland were formed in 1725 and 1736 respectively. Freemasonry was exported to the British Colonies in North America by the 1730s – with both the "Antients" and the "Moderns" (as well as the Grand Lodges of Ireland and Scotland) chartering offspring, or "daughter," Lodges, and organising various Provincial Grand Lodges. The earliest known American lodges were in Pennsylvania. In December 1730, Benjamin Franklin’s Gazzette states that “there were several Lodges of Freemasons erected in this Province.”  After the American Revolution, independent U.S. Grand Lodges formed themselves within each state. 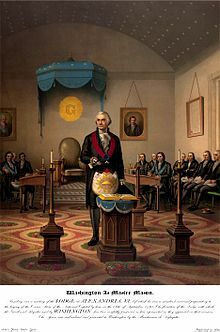 Some thought was briefly given to organising an overarching "Grand Lodge of the United States," with George Washington (who was a member of a Virginian lodge) as the first Grand Master, but the idea was short-lived. The various state Grand Lodges did not wish to diminish their own authority by agreeing to such a body. The Grand Orient de France (GOdF) is often dated from 1728 or 1733. However, the early decades of Freemasonry in France were distinguished by a lack of organisational structure, the lodges being united by a weak allegiance to an acknowledged Grand Master who never interfered in their running. Between 1755 and 1766 the masters of the Paris lodges attempted to unite French Freemasonry under their own Grand Lodge, but this in turn broke up over disputes about the higher degrees. The structure of the current Grand Orient de France began to form in 1773, when lodges from the whole of France met to agree a central body with a democratic structure. Most English-speaking jurisdictions cut formal relations with the GOdF around 1877, when (following the Lausanne Congress of 1875) the GOdF removed the requirement that its members have a belief in a Deity. The Grande Loge Nationale Française (GLNF) was the last French Grand Lodge to be in regular amity with the UGLE, until UGLE withdrew recognition on 12 September 2012. Prince Hall Freemasonry derives from historical events in the early United States that led to a tradition of separate, predominantly African-American Freemasonry in North America. In 1775, an African-American named Prince Hall was initiated into an Irish Constitution military Lodge then in Boston, Massachusetts, along with fourteen other African-Americans, all of whom were free-born. When the military Lodge left North America, those fifteen men were given the authority to meet as a Lodge, form Processions on the days of the Saints John, and conduct Masonic funerals, but not to confer degrees, nor to do other Masonic work. In 1784, these individuals applied for, and obtained, a Lodge Warrant from the Premier Grand Lodge of England (GLE) and formed African Lodge, Number 459. When the UGLE was formed in 1813, all U.S.-based Lodges were stricken from their rolls – due largely to the War of 1812. Thus, separated from both UGLE and any concordantly recognised U.S. Grand Lodge, African Lodge re-titled itself as the African Lodge, Number 1 – and became a de facto "Grand Lodge" (this Lodge is not to be confused with the various Grand Lodges on the Continent of Africa). As with the rest of U.S. Freemasonry, Prince Hall Freemasonry soon grew and organised on a Grand Lodge system for each state. Widespread segregation in 19th- and early 20th-century North America made it difficult for African-Americans to join Lodges outside of Prince Hall jurisdictions – and impossible for inter-jurisdiction recognition between the parallel U.S. Masonic authorities. Prince Hall Masonry has always been regular in all respects except constitutional separation, and this separation has diminished in recent years. At present, Prince Hall Grand Lodges are recognised by some UGLE Concordant Grand Lodges and not by others, but they appear to be working toward full recognition, with UGLE granting at least some degree of recognition. There are a growing number of both Prince Hall Lodges and non-Prince Hall Lodges that have ethnically diverse membership. The majority of Masonic jurisdictions around the world follow the Anglo-American style (The United Grand Lodge of England lists 194 Grand Lodges which it considers to be Regular, while the umbrella organisation for Liberal Freemasonry, CLIPSAS, lists 72 members.) The Anglo-American style is especially dominant in the United States, and the countries that once formed the British Empire. It has a minority presence in France and most Latin American countries. The Anglo-American branch has several noteworthy sub-branches, most notably Prince Hall Freemasonry (a legacy of past racial segregation in the United States, and so predominantly found in that country). The Swedish Rite(which is exclusively open for confessors of the Christian faith, and has a significant presence in Scandinavia) is sometimes placed within this branch, although it can also be seen as its own separate branch. The Continental Style dominates in France, and has a majority presence in several European countries and in most Latin American countries. It has a minority presence in other parts of the world. Female membership Male Grand Lodges not admit women as members, or recognise female masons. Associated organisations in American Freemasonry which are open to women are unrecognised in Britain or Ireland. Mixed and female only lodges tend to follow the predominant ritual form of their own country. Grand Orient of France now allows initiation of women. Mixed and female lodges generally recognised. Political involvement Strict ban of the discussion of politics in a lodge setting, and its Grand Lodges will not comment on political matters. The Grand Orient has a political agenda, to further the aims of Freemasonry, which individual masons are expected to support. The Grand Orient meets with politicians to further its aims, particularly civil rights and the separation of church and state. Regularity is a constitutional mechanism whereby Grand Lodges or Grand Orients give one another mutual recognition. This recognition allows formal interaction at the Grand Lodge level, and gives individual Freemasons the opportunity to attend Lodge meetings in other recognised jurisdictions. Conversely, regularity proscribes interaction with Lodges that are irregular. A Mason who visits an irregular Lodge may have his membership suspended for a time, or he may be expelled. For this reason, all Grand Lodges maintain lists of other jurisdictions and lodges they consider regular. Grand Lodges and Grand Orients that afford mutual recognition and allow intervisitation are said to be in amity. 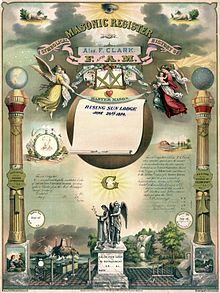 As far as the UGLE is concerned, regularity is predicated upon adherence to a number of fundamental principals (known as Landmarks), set down in the UGLE Constitution and the Constitutions of those Grand Lodges with which they are in amity. Even within this definition there are some variations with the quantity and content of the Landmarks from jurisdiction to jurisdiction. Other Masonic groups organise differently. Each of the two major branches of Freemasonry considers the Lodges within its branch to be "regular" and those in the other branch to be "irregular." A Lodge (often termed a Private Lodge or Constituent Lodge in Masonic constitutions) is the basic organisational unit of Freemasonry. Every new Lodge must have a Warrant or Charter issued by a Grand Lodge, authorising it to meet and work. Except for the very few "time immemorial" Lodges pre-dating the formation of a Grand Lodge, masons who meet as a Lodge without displaying this document (for example, in prisoner-of-war camps) are deemed "Clandestine" and irregular. This plaque commemorates a 'formal' fraternal visit by NIRMAS, the Masonic association for members of theRoyal Australian Navy, that originally started at the Apprentice Training Base,HMAS Nirimba, hence the name. The plaque is styled after the ship's badge for the Navy. The visit was to LodgeGundagai United, No.25. There are also specialist Lodges of Research, with membership drawn from Master Masons only, with interests in Masonic Research (ofhistory, philosophy, etc.). Lodges of Research are fully warranted but, generally, do not initiate new candidates. Lodges of Instruction in UGLE may be warranted by any ordinary Lodge for the learning and rehearsal of Masonic Ritual. Freemasons correctly meet as a Lodge, not in a Lodge, the word "Lodge" referring more to the people assembled than the place of assembly. However, in common usage, Masonic premises are often referred to as "Lodges". Masonic buildings are also sometimes called "Temples" ("ofPhilosophy and the Arts"). In many countries, Masonic Centre or Hall has replaced Temple to avoid arousing prejudice and suspicion. Several different Lodges, as well as other Masonic or non-Masonic organisations, often use the same premises at different times. Every Masonic Lodge elects certain officers to execute the necessary functions of the lodge's work. The Worshipful Master (essentially the lodge President) is always an elected officer. Most jurisdictions will also elect the Senior and Junior Wardens (Vice Presidents), the Secretary and the Treasurer. All lodges will have a Tyler, or Tiler, (who guards the door to the lodge room while the lodge is in session), sometimes elected and sometimes appointed by the Master. In addition to these elected officers, lodges will have various appointed officers – such as Deacons, Stewards, and a Chaplain (appointed to lead a non-denominational prayer at the convocation of meetings or activities – often, but not necessarily, a clergyman). The specific offices and their functions vary between jurisdictions. Appendant bodies are administered separately from Craft Grand Lodges but are styled Masonic since every member must be a Mason. However, Craft Masonic jurisdictions vary in their relationships with such bodies, if a relationship exists at all. The Articles of Union of the "Modern" and "Antient" craft Grand Lodges (into UGLE in 1813) limited recognition to certain degrees, such as the Royal Arch and the "chivalric degrees", but there were and are many other degrees that have been worked since before the Union. Some bodies are not universally considered to be appendant bodies, but rather separate organisations that happen to require prior Masonic affiliation for membership. Some of these organisations have additional requirements, such as religious adherence (e.g., requiring members to profess Trinitarian Christian beliefs) or membership of other bodies. In addition, many Masonic lodges and associated masonic bodies sponsor various youth groups. These groups are not part of Freemasonry. Masons conduct their meetings using a ritualised format. There is no single Masonic ritual, and each jurisdiction is free to set (or not set) its own ritual. However, there are similarities that exist among jurisdictions. For example, all Masonic ritual makes use of the architectural symbolism of the tools of the medieval operative stonemason. Freemasons, as speculative masons (meaning philosophical building rather than actual building), use this symbolism to teach moral and ethical lessons of the principles of "Brotherly Love, Relief, and Truth;" or as related in France, "Liberty, Equality, Fraternity." Two of the principal symbolic tools always found in a Lodge are the square and compasses. Some Lodges and rituals explain these tools as lessons in conduct: for example, that Masons should "square their actions by the square of virtue" and to learn to "circumscribe their desires and keep their passions within due bounds toward all mankind." However, as Freemasonry is non-dogmatic, there is no general interpretation for these tools (or any Masonic emblem) that is used by Freemasonry as a whole. These moral lessons are communicated in performance of allegorical ritual. A candidate progresses through degrees, gaining knowledge and understanding of himself, his relationship with others, and his relationship with the Supreme Being (per his own interpretation). The philosophical aspects of Freemasonry tend to be discussed in Lodges of Instruction or Research, and sometimes informal groups, although Freemasons and others frequently publish studies, with varying degrees of competence, that are available to the public. Any mason may speculate on the symbols and purpose of Freemasonry, and indeed all masons are required to some extent to speculate on masonic meaning as a condition of advancing through the degrees. There is no one accepted meaning, and no one person "speaks" for the whole of Freemasonry. Candidates for regular Freemasonry are required to declare a belief in a Supreme Being. However, the candidate is not asked to expand on, or explain, his interpretation of Supreme Being. The discussion of politics and religion is forbidden within a Masonic Lodge, in part so a Mason will not be placed in the situation of having to justify his personal interpretation. Thus, a Christian Mason will interpret the term "Supreme Being" in a Christian context, while a Muslim Mason will interpret it in a Muslim context, and a Hindu Mason will interpret it in a Hindu context, (etc.). While most Freemasons would take the view that the term Supreme Being equates to God, others may hold a more complex or philosophical interpretation of the term. Master Mason – the "third degree", a necessity for participation in most aspects of Masonry. Freemasons use signs (gestures), grips or tokens (handshakes), and words to gain admission to meetings and identify legitimate visitors. Many exposés revealing these signs grips and passwords to the uninitiated have been written over the years (the earliest appeared in the eighteenth century). The fraternity responded in different ways. One response, made by many Masonic jurisdictions, was to deliberately transpose certain words in the ritual, so as to catch out anyone relying on an exposé. Other Grand Lodges simply chose new signs, grips, and passwords. Since each Grand Lodge is free to create its own rituals, the signs, grips, and passwords differ from jurisdiction to jurisdiction. Furthermore, Grand Lodges change their rituals periodically, updating the language used, adding or omitting sections. Therefore, any exposé can only be valid for a particular jurisdiction at a particular time, and is always difficult for an outsider to verify. Today, an unknown visitor may be required to produce a certificate, dues card, or other documentation of membership, in addition to demonstrating knowledge of the signs, grips, and passwords. Details of the obligations vary; some versions are published while others are privately printed in books of coded text. Still other jurisdictions rely on oral transmission of ritual, and thus have no ritual books at all. Moreover, not all printed rituals are authentic – Léo Taxil's exposure, for example, is a proven hoax, while Duncan's Masonic Monitor (created, in part, by merging elements of several rituals then in use) was never adopted by any regular jurisdiction. The obligations are historically known amongst various sources critical of Freemasonry for their so-called "bloody penalties," an allusion to the apparent physical penalties associated with each degree. This leads to some descriptions of the Obligations as "Oaths". The corresponding text, with regard to the penalties, does not appear in authoritative, endorsed sources, following a decision "that all references to physical penalties be omitted from the obligations taken by Candidates in the three Degrees and by a Master Elect at his Installation but retained elsewhere in the respective ceremonies." The penalties are interpreted symbolically, and are not applied in actuality by a Lodge or by any other body of Masonry. The descriptive nature of the penalties alludes to how the candidate should feel about himself should he knowingly violate his obligation. Modern actual penalties may include suspension, expulsion or reprimand. The concept of Masonic Landmarks appears in Masonic regulations as early as 1723, and seems to be adopted from the regulations of operative masonic guilds. In 1858, Albert G. Mackey attempted to set down 25 Landmarks. In 1863, George Oliver published a Freemason's Treasury in which he listed 40 Landmarks. A number of American Grand Lodges have attempted the task of enumerating the Landmarks; numbers differing from West Virginia (7) and New Jersey (10) to Nevada (39) and Kentucky (54). The fraternity is widely involved in charity and community service activities. In contemporary times, money is collected only from the membership, and is to be devoted tocharitable purposes. Freemasonry worldwide disburses substantial charitable amounts to non-Masonic charities, locally, nationally and internationally. 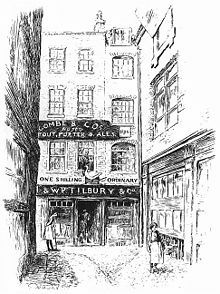 In earlier centuries, however, charitable funds were collected more on the basis of a Provident or Friendly Society, and there were elaborate regulations to determine a petitioner's eligibility for consideration for charity, according to strictly Masonic criteria. Homes that provide sheltered housing or nursing care. Education with both educational grants or schools such as the Royal Masonic School (UK) which are open to all and not limited to the families of Freemasons. Masonic Child Identification Programs (CHIP). In addition to these, there are thousands of philanthropic organisations around the world created by Freemasons. The Masonic Service Association, the Masonic Medical Research Laboratory, and the Shriners Hospitals for Children are charitable activities that Masons have founded and continue to support, both intellectually and monetarily. Be at least the minimum age (from 18–25 years old depending on the jurisdiction. In some jurisdictions the son of a Mason, known as a "Lewis," may join at an earlier age than others). Having been elected and initiated, a member may subsequently resign from membership of his lodge if he so desires. Additionally, the fraternity may either suspend or expel a member for cause. Where a member has resigned in good standing, not excluded for misdemeanour or non-payment of fees, he continues to be regarded as a mason, albeit non-practising, may rejoin at any time, and may have limited visiting rights. Regular Freemasonry requires that its candidates believe in a Supreme Being, but the interpretation of this term is subject to the conscience of the candidate. Consequently, Freemasonry accepts men from a range of faiths, including (but not limited to) Buddhism, Christianity, Hinduism, Islam, Judaism, and Sikhism. As a result, Freemasonry usesVolume of the Sacred Law (VSL) as a generic term for a religious book. As UGLE-based Freemasonry also requires that a VSL be present on the Altar, many Lodges have multiple VSLs available, and a candidate can be obligated on his book of choice. Since the early 19th century, in the Continental European tradition (which is considered irregular by those Grand Lodges in amity with the United Grand Lodge of England), a very broad interpretation has been given to a non-dogmatic Supreme Being; in the tradition of Baruch Spinoza and Johann Wolfgang von Goethe – or views of The Ultimate Cosmic Oneness – along with Western atheistic idealism and agnosticism. The form of Freemasonry most common in Scandinavia, known as the Swedish Rite, accepts only Christians. While women cannot join regular lodges, there are (mainly within the borders of the United States) many concordant bodies, such as the Order of the Eastern Star, the Order of the Amaranth, the White Shrine of Jerusalem, or the Social Order of Beauceant, which are open to Freemasons and their female relatives. These have their own rituals and traditions, but are founded on the Masonic model. Starting in France and spreading to most of continental Europe, similar lodges with their own form of ritual admitting women were known as Lodges of Adoption. In twentieth century France these lodges became female only. In 1935 the Grand Orient unilaterally separated itself from its ladies lodges, and in 1959 they adopted the Ancient and Accepted Scottish Rite, working the same ritual as the men and in all respects acting as a lodge of Freemasons. Other Masonic bodies admit both men and women or are exclusively for women. Co-Freemasonry admits both men and women. The systematic admission of women into International Co-Freemasonry began in France in 1893, and in 1899 they formed their own Grand Council of the Ancient and Accepted Scottish Rite. In England, Freemasonry for women only resulted from a split in Co-Freemasonry. Both Co-Freemasonry and both the English and French forms of women's Freemasonry continue to spread internationally, and the Grand Orient de France now allows its lodges to initiate women. 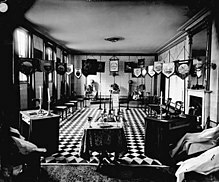 The Anglo-American tradition, however, continues to refuse admission to women, and while acceptance of women's lodges has arrived in the United Grand Lodge of England, mixed lodges, including concordant bodies such as the Eastern Star in the United States, continue to be viewed as irregular.